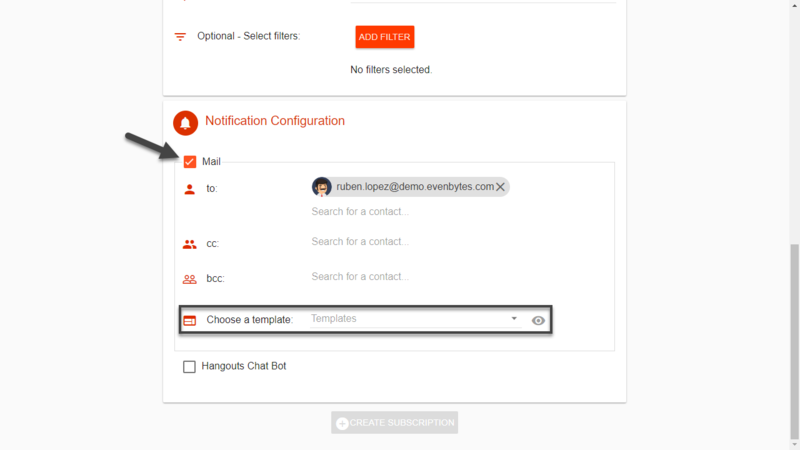 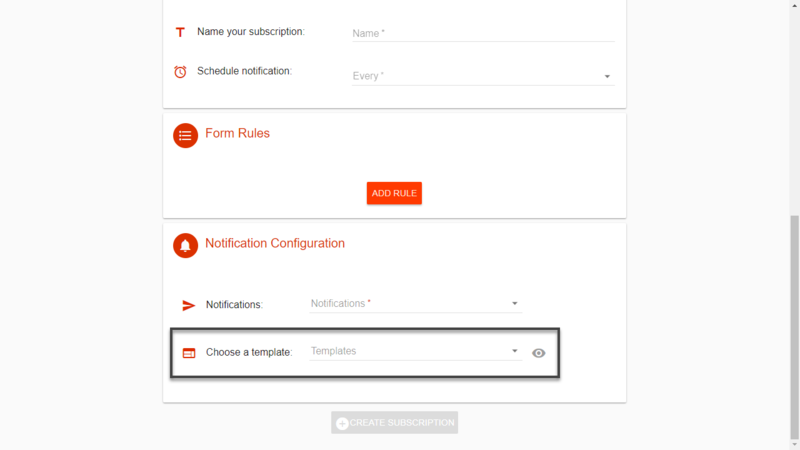 You can create your own custom mail templates to send notifications from your subscriptions. 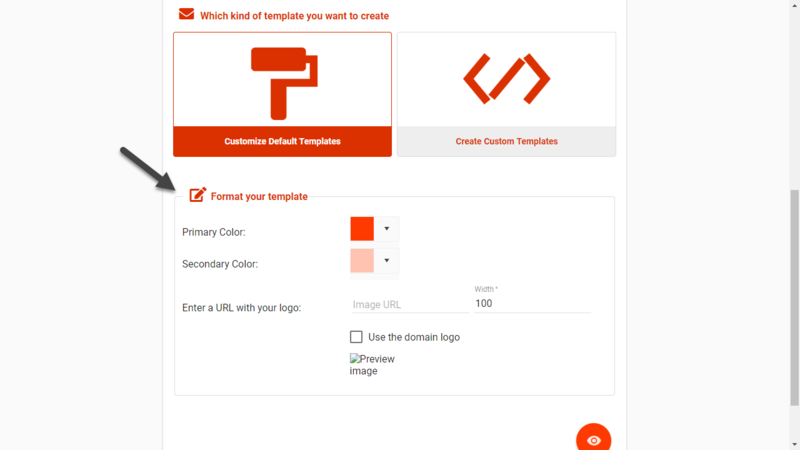 On these templates you just need to select the colours and the logo you want to see. 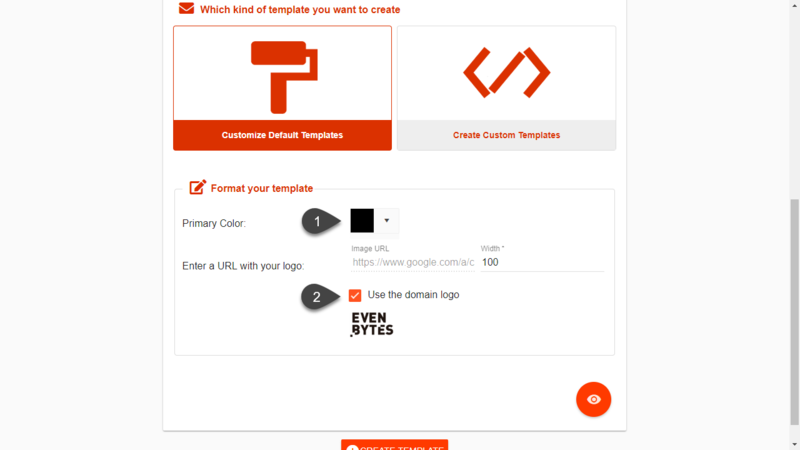 Then we will use our templates and we will replace our colours and logo with the ones you provide. 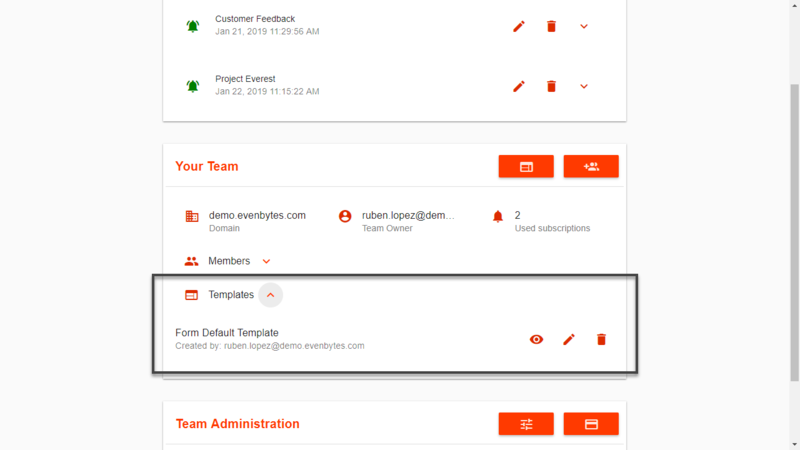 On these templates you manage everything. 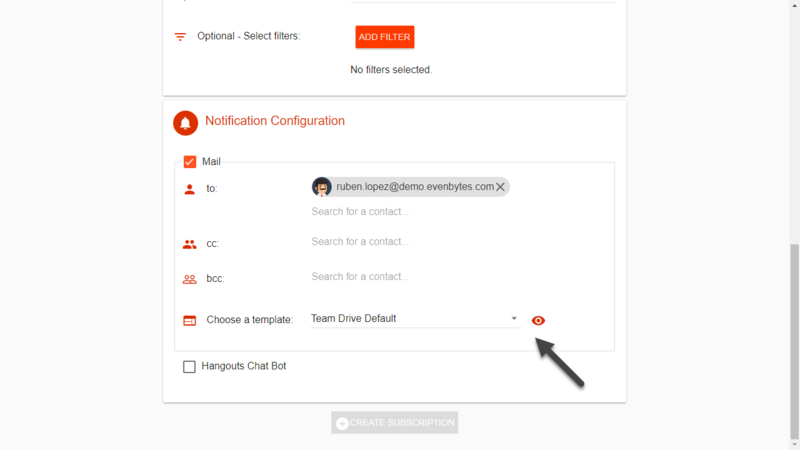 Starting from zero you can create your mail template, include just the fields you want to show and include any other information you would like to include like links, images and so on. 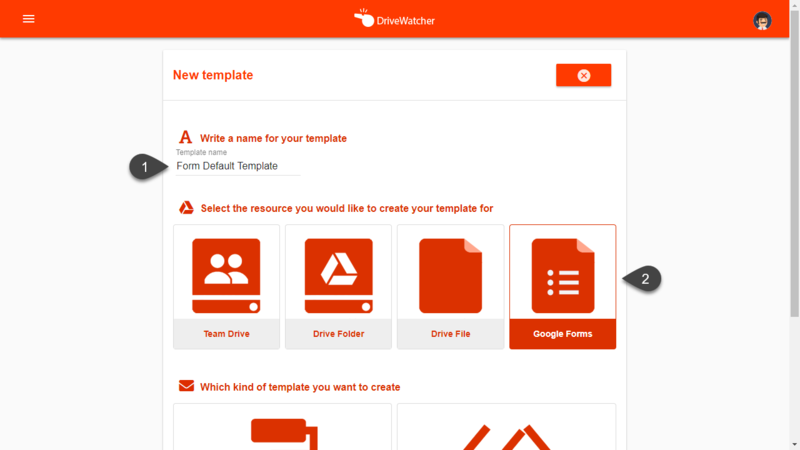 The following examples will show you how to create custom templates in DriveWatcher. 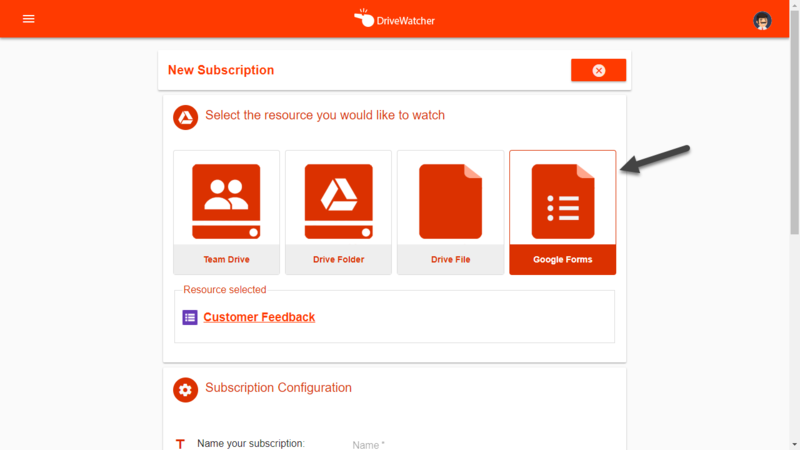 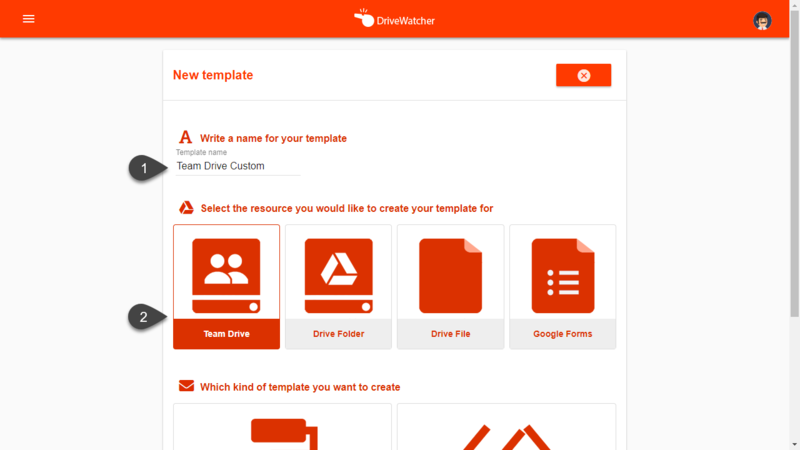 We are going to create 3 templates: Default template for Forms Subscriptions, Default template for Team Drive subscriptions and Custom template for Team Drive Subscriptions. 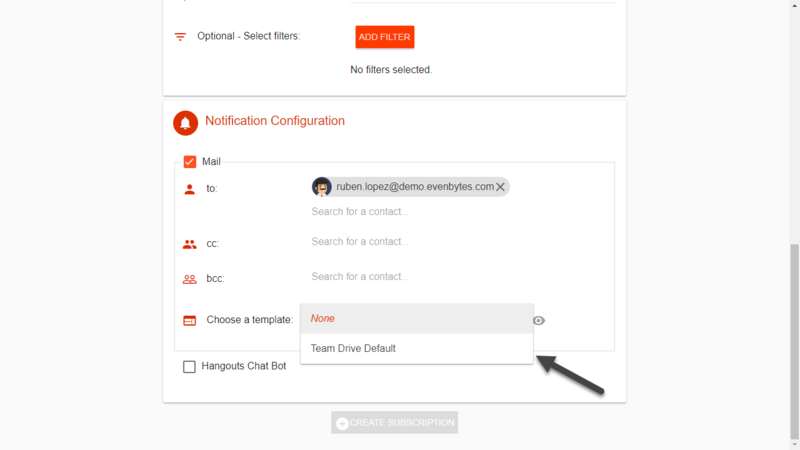 By selecting this option, you will see these settings. 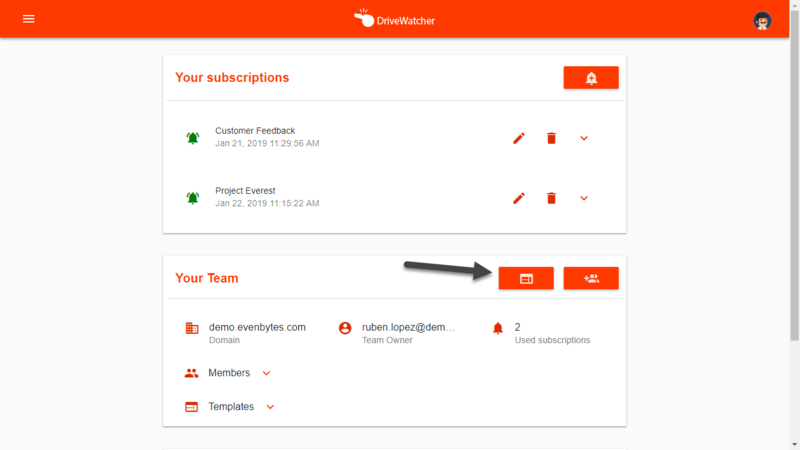 You can select the primary color to show on your notifications and the logo that will appear at the bottom of the email. 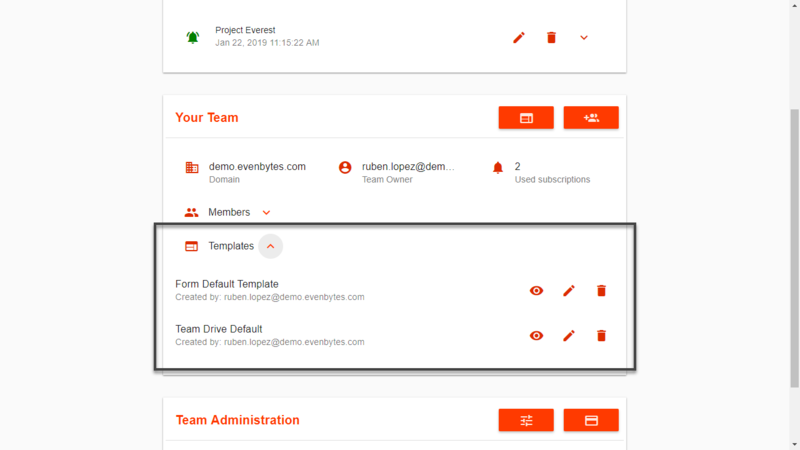 Templates are created at Team level, this means that everyone on your Team will have access to your templates, but you are the only one that can edit and delete them. 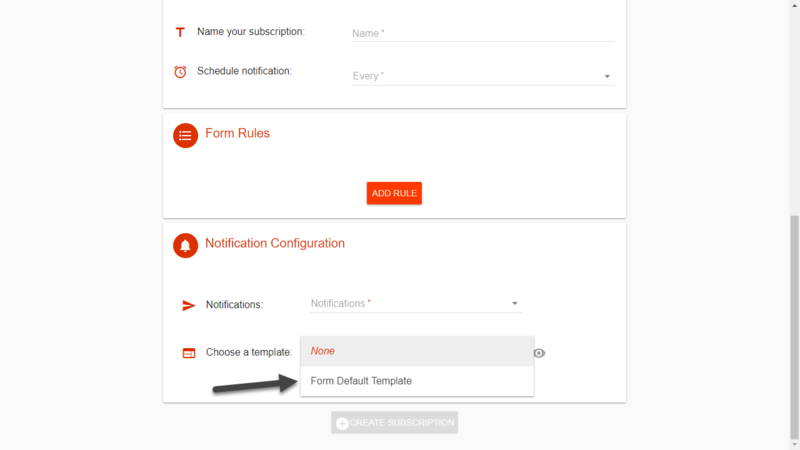 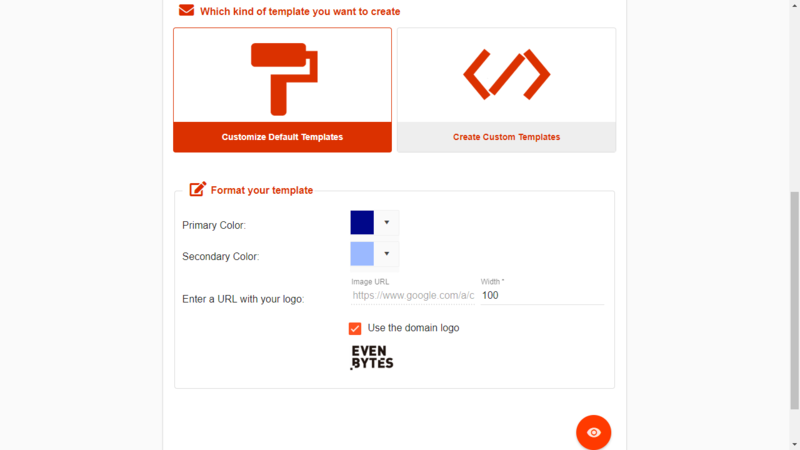 You can also preview your templates before creating your subscription. 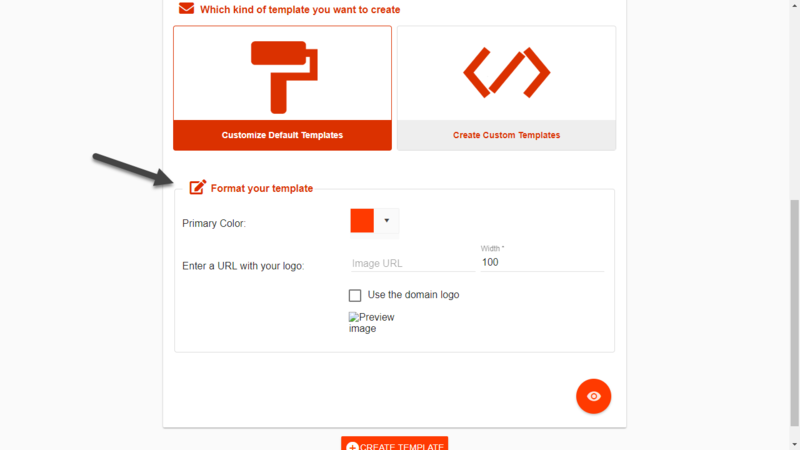 We are currently working on a detailed documentation for Custom templates. 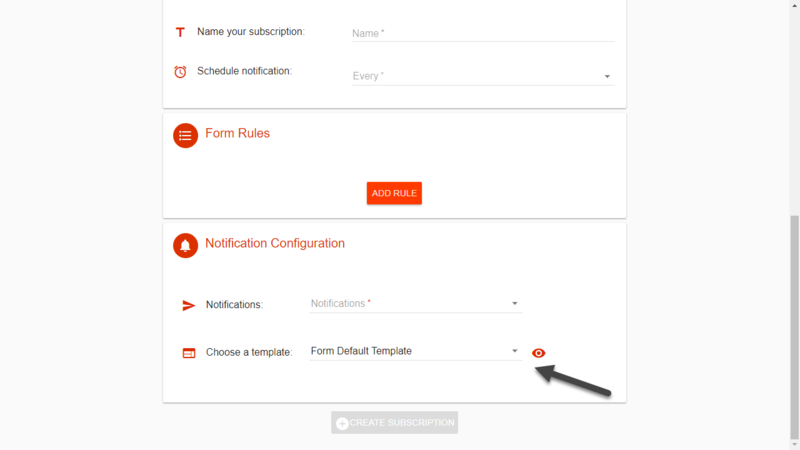 Come back in some days or contact us. 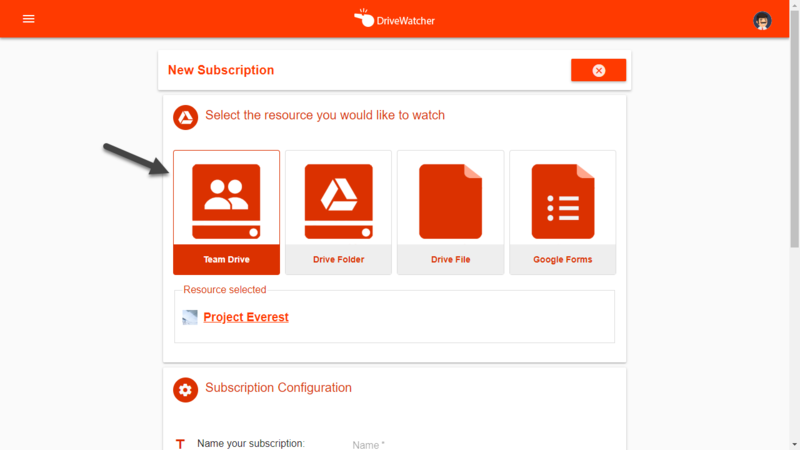 Sorry for all the inconveniences.